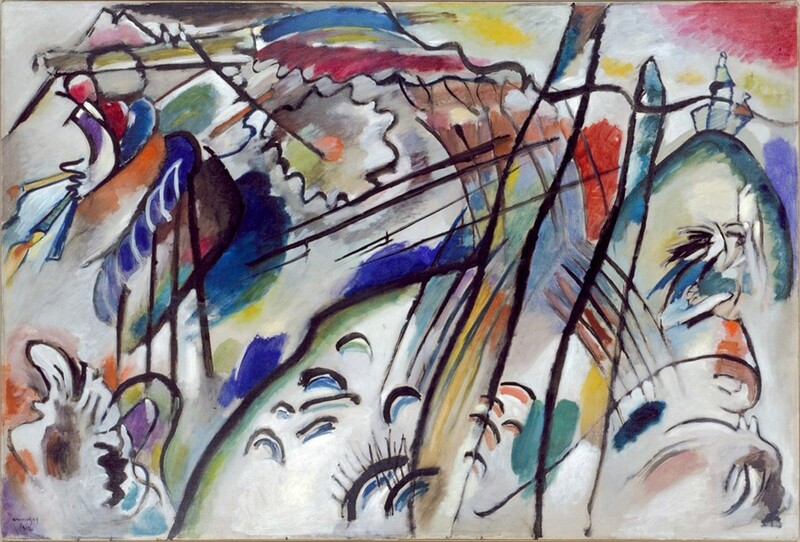 The career of Wassily Kandinsky ranged from theorising colour and geometric forms in completely new ways to painting some of the first abstract paintings as well as writing books on completely new concepts in art. Simply put, Kandinsky was groundbreaking in the ways he divorced himself from typical norms of old school fine art and broke new ground by taking inspiration from everything to music and human emotion, reinterpreting these topics into colourful artworks and brilliant theoretical books. 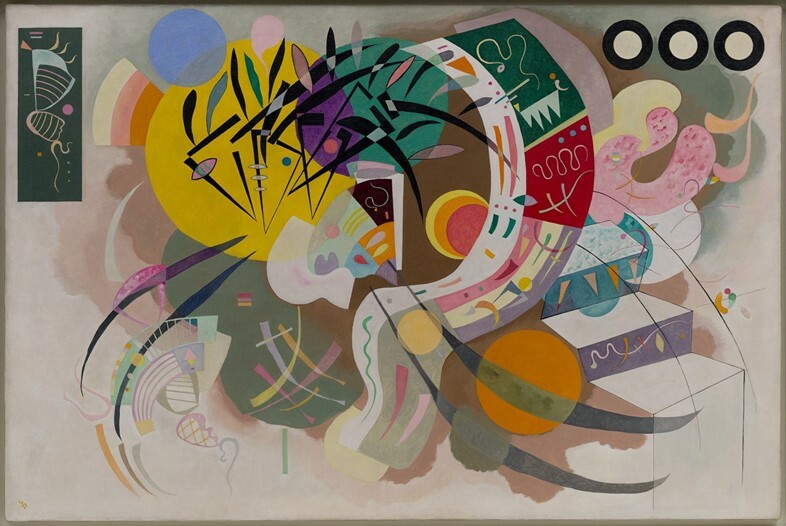 The latest gallery of 150 Kandinsky works at The Guggenheim in New York traces the artist’s aesthetic evolution and contribution to the abstract art movement, from his early days working as a painter in Munich to the last era of his career in Paris. Here, we look at what we can learn from the storied artist, from living a colourful live to knowing the value of contrast. Kandinksy knew the true value of having confidence to move from one aesthetic to another. Though primarily known as an abstract artist, he often experimented with different forms of abstraction with much success. During his Blue Rider period, his paintings were large and expressive, with markings that varied in shape and size. But his Bauhaus period saw paintings that were centered on controlled geometrics and sharp lines. He turned the classic saying of “Do one thing and do it well,” on its head – and that lesson can be used for fashion advice or life in general. His paintings offer the anecdote that living a colourful life is always better than living a dreary one in only black and white. 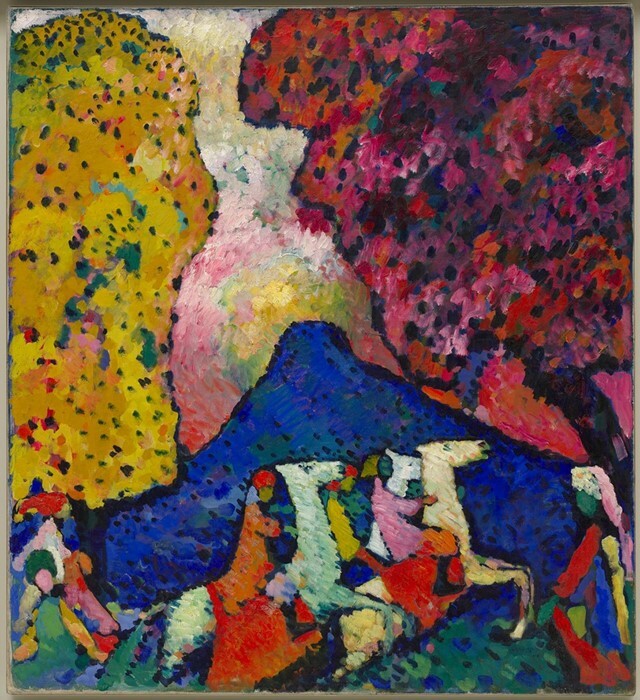 As a highly spiritual artist, Kandinsky saw colour as emotional therapy and injected much of it into his paintings. In his book, Concerning the Spiritual in Art, he wrote, "Colours on the painter's palette evoke a double effect: a purely physical effect on the eye which is charmed by the beauty of colours, similar to the joyful impression when we eat a delicacy. 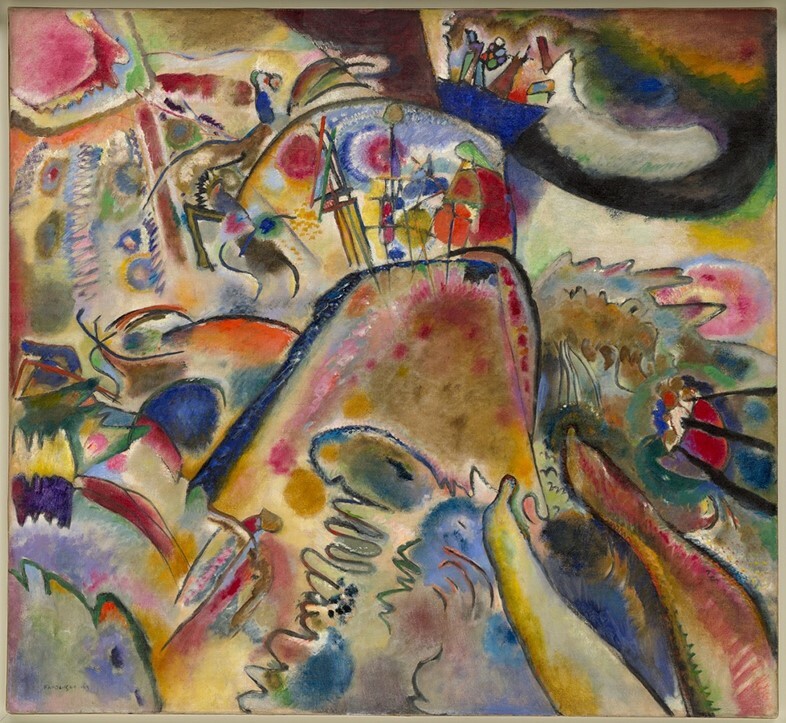 This effect can be much deeper, however, causing a vibration of the soul or an "inner resonance" – a spiritual effect in which the colour touches the soul itself.” On an off day, we can always imagine ourselves living inside a Kandinsky painting. There’s no doubt Kandinsky was a hard worker. He produced hundreds of works and painted until the last few years of his life. But he also knew when to take a break from his work. One day, an exhausted Kandinksy decided to take a walk. When he returned to his studio, one of his paintings had been accidentally turned upside down by friend and fellow artist Gabriele Münter. Without recognising it as his own, he proclaimed it was “of extraordinary beauty, glowing with inner radiance.” This moment was said to change his ideas about painting and open his eyes to abstraction. Taking a break or stepping back from a big project can make one see things in a different light – especially if someone else gets involved in the most unexpected ways. There’s a reason why black and white striped tops forever remain a wardrobe staple. Kandinsky recognized the power of contrasting colours and shapes early, assigning hues emotional qualities and using them to balance each other out. “White and black form the second great contrast, which is static. White is a deep, absolute silence, full of possibility. Black is nothingness without possibility, an eternal silence without hope, and corresponds with death,” he wrote in Concerning the Spiritual Art. 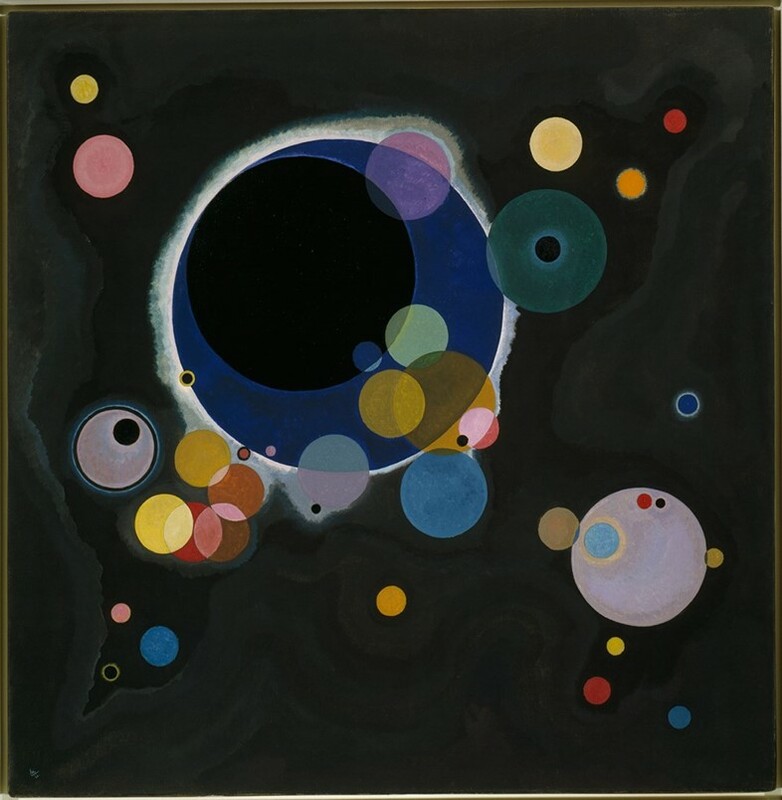 Similarly, Kandinsky’s paintings often play with contrasting shapes: long, sharp lines juxtapose soft orb-like spheres and curves. Life wouldn’t be as beautiful without the best of both worlds. 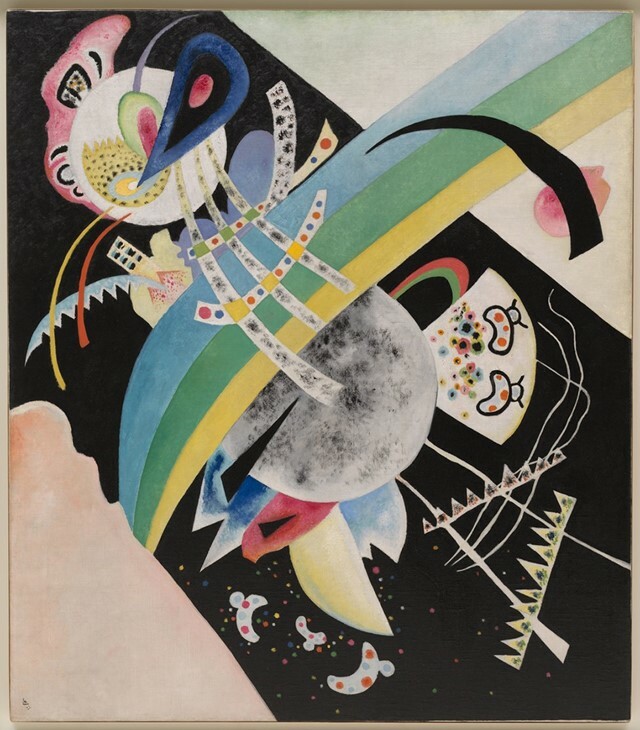 If all of Kandinsky’s beliefs could be condensed into one, his biggest theory would probably be what he called “internal necessity.” His paintings were colourfully stunning but they weren’t just based on pure aesthetics. As well as believing in a form of communication between the artist and the viewer, Kandinsky believed in total self-awareness. He committed to his feelings and senses and often theorised that shapes and colours were attached to his own emotional feelings. For example, he felt the circle was the most peaceful symbol – so he used it to create his own codes throughout his work. He also considered black as the colour of closure. And with this system, he created not just beautiful work, but his own language that was completely one of a kind and representative of a singular person. 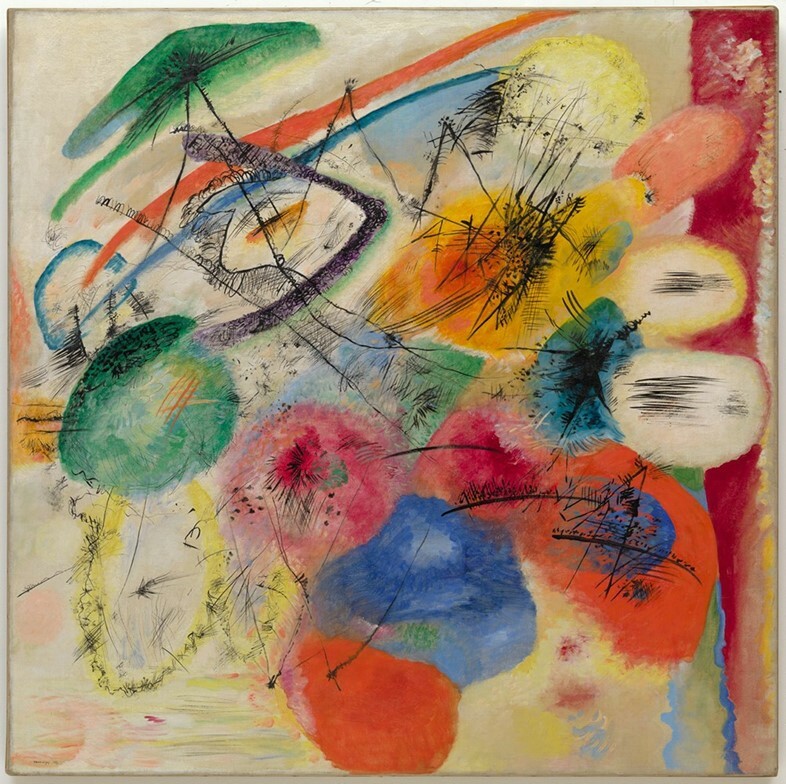 The Kandinsky gallery is at The Guggenheim, New York until Spring 2016.